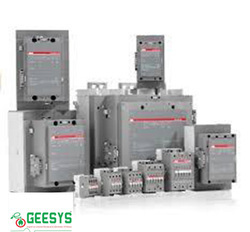 we, “GEESYS,” are leading suppliers and Authorised Stockiest for superior quality range of ABB, Schneider, Legrand, L&T, and EATON Switchgear. 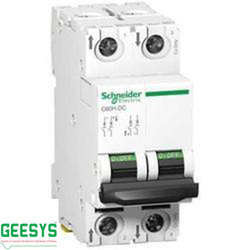 The offered product range encompasses Air Circuit Breakers(ACBs), Moulded Case Circuit Breakers(MCCBs), Switch Disconnector Fuse Units (SDFs), Onload Changeovers, Contactors, Relays, Push Buttons & Indicators, Timers, Panel Meters and Electronic Metering Devices. In addition, we also offer quality range of Digital Protective Relays, Rotary Switches, Capacitors, MCBs, Distribution Boards, Wires, AC Drives, Soft Starters, Motors, Plate Switches and Superlite Wires. 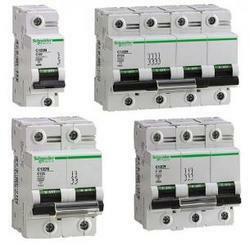 To maintain excellent quality standards, we are offering a quality assured assortment of Miniature Circuit Breaker. 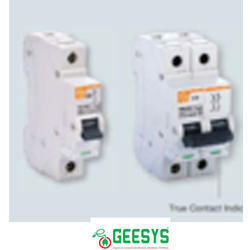 The Miniature Circuit Breaker we offer is known for its easy installation and shock proof nature. Our products are suitable to meet the applications of various industries. 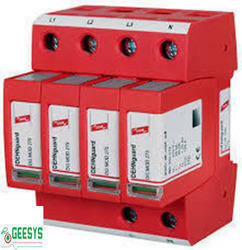 GEESYS has a comprehensive line of surge protective devices to meet your needs, regardless of the exposure risk. They help reduce costly downtime and protect sensitive electronic equipment against the damaging effects of transients caused by lightning, utility switching, internal load switching and more. Each unit is independently tested and backed by the largest engineering and technical support in the industry. Small device, big effect: upstream surge protection can protect business systems against failures caused by voltage surges. Protection against voltage surges is essential in the field of instrumentation, control and automation equipment, but also for power equipment. Products specially developed by OBO offer ideal protection for automated systems, wind power and photovoltaic systems. We have been counted amongst the most trusted names in this domain, engaged in offering standard quality range of Solar Standalone System. Enriched with vast industrial experience, we are involved in offering a wide range of Miniature Circuit Breaker. These are engineered using top quality components and following international standard. Our products are acclaimed for their seamless finish and robustness. We offer these products at market leading rates. 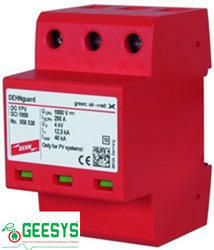 C60H-DC : for operating voltages 24 to 500V DCFor Direct Current: solar generation, control circuits, etc. 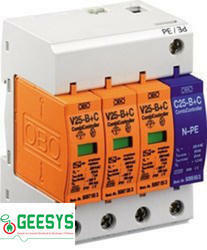 C60PV-DC : for operating voltages up to 800V DC. From the House of GEESYS! The switch-disconnector is largely used as the main switch in low voltage switchgears for distribution of power, starting and stopping motors and isolating loads during maintenance. - step by step selection of DC rated OTDC switch-disconnectors, accessories and DC rated OTDCP enclosed switch-disconnetors. - selections for IEC and North American markets. - accessories are also included. - email exportation of the results. OTDC Wizard is an APP to easily select DC rated switch-disconnectors for your PV applications in few simple steps wherever you are. OTDC Wizard helps you to select ABB codes for OTDC and OTDCP switch-disconnectors, accessories and enclosed switch-disconnectors ranges for photovoltaic. Also for North American markets. In few taps OTDC Wizard can provide you the right code, listing you technical characteristics and documentation links. Get smart, save time, use OTDC wizard! 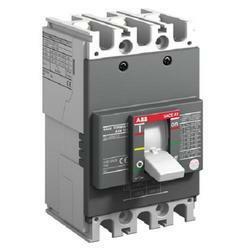 Featuring AF technology as standard, AF contactors establish a new industry benchmark. The electronically controlled coil offers multiple benefits over conventional alternatives, and together with ABB's wide product offering, an optimal configuration, every time. Extended Warranty offers a guarantee for your ABB Active Low Voltage Circuit Breaker, Air and Moulded case, covering equipment failure for up to five years. It is possible to extend the warranty directly on new circuit breaker to be purchased and on already delivered products, which are within the standard warranty period. The distribution network as a result of lightning or any work carried out. Lightning strikes (nearby or on buildings and PV installations, or on lightning conductors). Variations in the electrical field due to lightning. Like all outdoor structures, PV installations are exposed to the risk of lightning which varies from region to region. Preventive and arrest systems and devices should be in place. The first safeguard to put in place is a medium (conductor) that ensures equipotential bonding between all the conductive parts of a PV installation. The aim is to bond all grounded conductors and metal parts and so create equal potential at all points in the installed system. SPD protection is required if L ≥ Lcrit . the sum of distances between the junction box and the connection points of the photovoltaic modules forming the string, taking into account that the lengths of cable located in the same conduit are counted only once. Ng is arc lightning density (number of strikes/km2/year). Type of SPD No need "SPD 1"
Type 2[a] No need "SPD 3"
[a] Type 1 separation distance according to EN 62305 is not observed. 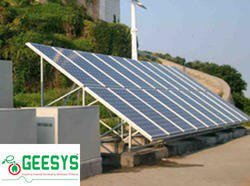 GEESYS is India’s leading supplier of Solar Cables. With years of expertise in this solar segment, we are the largest solar cables manufacturers in India having supplied for more than 10 GW globally. 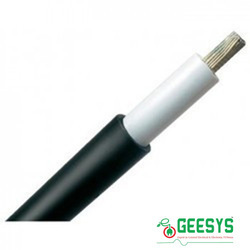 GEESYS Solar cable is the interconnection cable used in photovoltaic power generation. A solar cable interconnects solar panels and other electrical components in the photovoltaic system. Solar cables are designed to be UV resistant and weather resistant. It can be used within a large temperature range and are generally laid outside. Halogen-free: Low Smoke Emission Low Toxicity/Corrosivity during fire. GEESYS Solar offers Siechem/LAPP/Polycab make the BETAflam Solar Cables with UL AND TUV Approval. BETAflam are the finest Cables for Solar applications Worldwide. al Electric Code 2008 /UL Outline 4703). BETAflam® SolarDouble insulated, electron-beam cross-linked cables for solar power applications. The BETAflam® Solar Cables with UL and TÜV approvalFor fixed applications such as taxiway, runway and touchdown zone lighting.For use under normal climatic conditions and moderate mechanical stress. Suitable for laying in conduits and ducts. 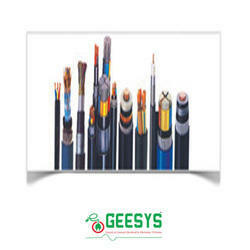 GEESYS Cables is the market leader in Electrical wires. With superior quality and customer validated trouble free performance validation, Finolex’s Industrial Cables is the number one choice in the market since last 50 years. GEESYS offers electrical wires for every segment of the market. Each wire is manufactured using more than 99.97% pure electrolytic grade, bright annealed bare copper with more than 100% conductivity. The conductor, made of multiple strands of finely drawn copper wires, offers great flexibility making it ideal for conduit wiring. The wires are insulated with a flame retardant (FR) PVC compound, specially formulated and manufactured in-house, using special grade PVC resin. The wires are ISI marked and approved by FIA/TAC. GEESYS Backed by immense experience and expertise of our team, we are able to manufacture and supply a range of high-quality Flexible Cable. These Flexible Cables are used for special applications that are required in electrical, engineering and various other industries. Insulation: PVC Type TI 3 as per EN 50363-3.